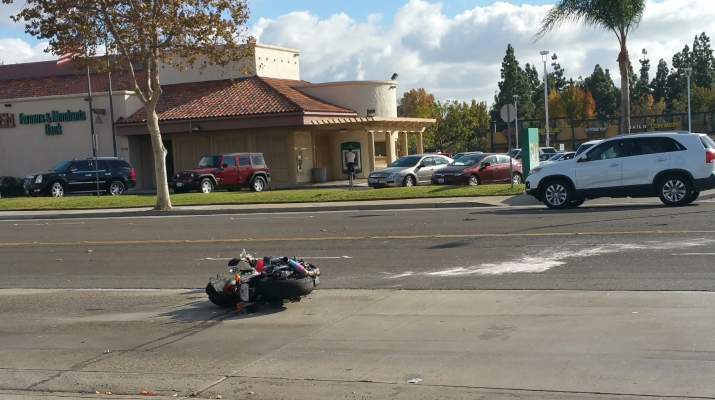 A motorcycle was involved in an accident this afternoon at around 1:45 pm on 17th just west of Cabrillo in Santa Ana. It is not certain if any other vehicles were involved. The accident happened in front of a Wendy’s restaurant. 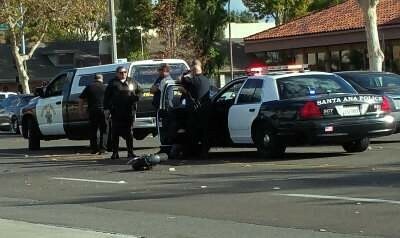 The SAPD and the OC Fire Authority responded to the scene and westbound 17th was briefly shut down by the police. We checked the OC Fire Authority’s Twitter page but saw no mention of the accident. 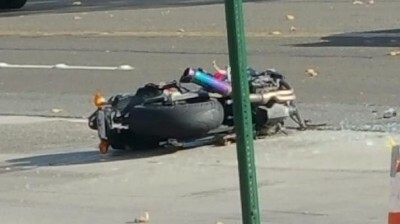 The OC Coroner is also not reporting any fatalities related to this accident.